Spring has officially sprung, and with the fresh new season comes Easter! Whether you’ll be entertaining family at a large gathering, or you’re throwing together a quick picnic for close friends, we’ve got plenty of decor styles to make the most of the spring occasion. Now’s the perfect time to test out that fresh tablescape you’ve been seeing all over Pinterest or a floral arrangement you’ve always wanted to try. From your classic pastels to a chic all-white look, there are a variety of different decor styles to try out this Easter. When you first hear the word Easter, the first image that comes to mind is probably something involving pastels. But don’t get stuck in the mindset that pastels are boring! There are so many ways to reinvent the classic pastel trend into something never seen before. One way to distinguish the pastel trend is to pick one or two pastel shades and stick to them for a color scheme. Try using only pastel pink and white for a simplistic, yet elegant theme. A blush pink table runner with white tulips creates a dreamy tablescape. Fresh flowers placed in simple pastel vases will keep an Easter theme of pastels consistent across the table. 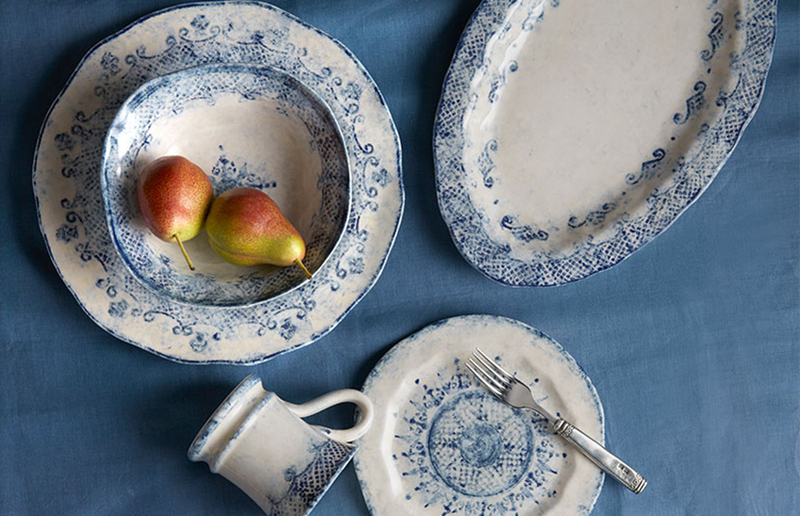 Another classic pastel combination is pale blue and white, and you can modernize the timeless color pairing with the addition of darker blue dinnerware. If you’re looking to truly wow your guests with decor that will leave them speechless, go for an all-white theme. Simplistic and elegant, you can’t go wrong with this monochromatic staple. 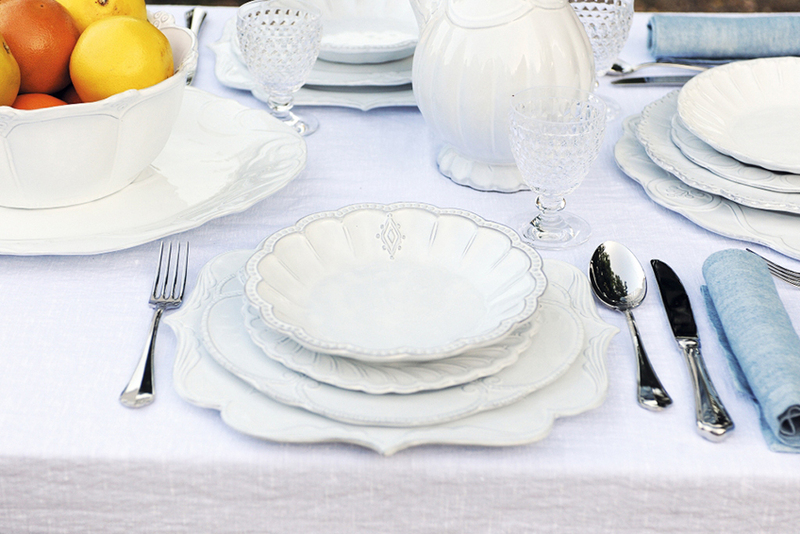 Fresh white table linens, dinnerware, and vases of flowers will help continue the white theme. For a twist on this staple, you can even add in pops of silver for added texture and interest. For a traditional style Easter, a classy decor is a must. 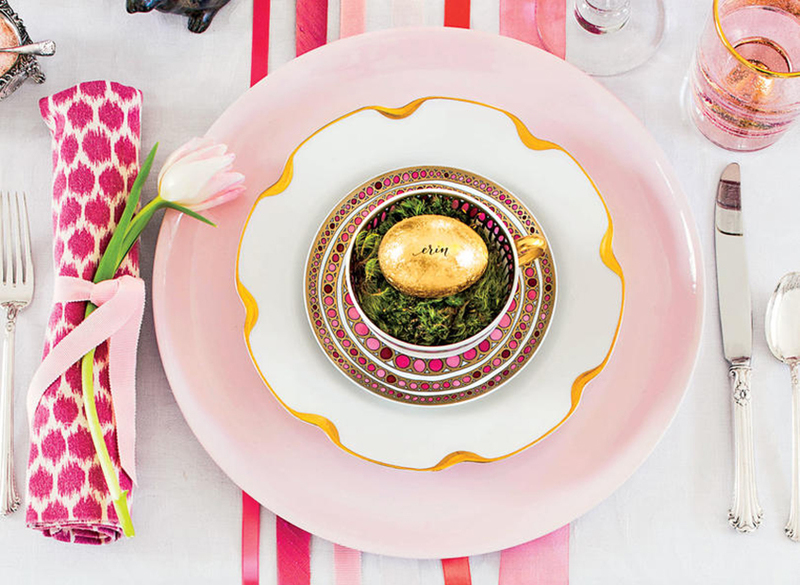 Just because it’s Easter doesn’t mean you have to stick to the expected pastel color scheme. For a more sophisticated look, try a black and white color scheme with pops of gold. You can bring in the Easter theme with a classic take on dyed Easter eggs. Or add a hint of gold with gold leaf egg place cards. If you have plenty of little ones running around this Easter, why not make the kids the focus of the day? From dying eggs to bunny rabbits, there’s plenty of inspiration to draw on to make a dream tablescape that will entice the little ones. You don’t have to sacrifice a chic setting though just to be kid friendly! 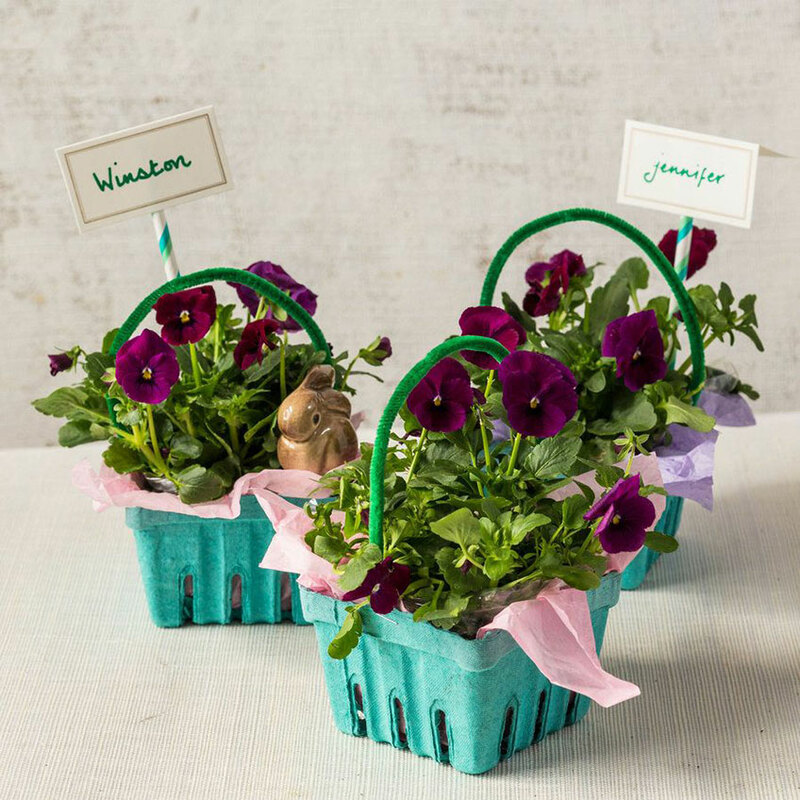 For a little something different, try utilizing the easter egg carton itself for a fun twist on a place card that doubles as a favor for guests. Fill the carton with treats that kids will love! Another fun way to liven up your decor and engage the kids is to utilize dyed Easter eggs for more than just decoration. Cut off the top of a dyed Easter egg and fill it with candy or treats for the little ones to enjoy! Place them in egg stands all around, from your kitchen to the living room to a screened in porch. What better time to embrace mother nature than with a holiday that embraces the joys of springtime! With bright green moss and anything floral, Easter is the perfect opportunity to try out your green thumb. We love the idea of a floral wreath on your front door, and an all-tulip wreath is a stunning way to make a spring statement. 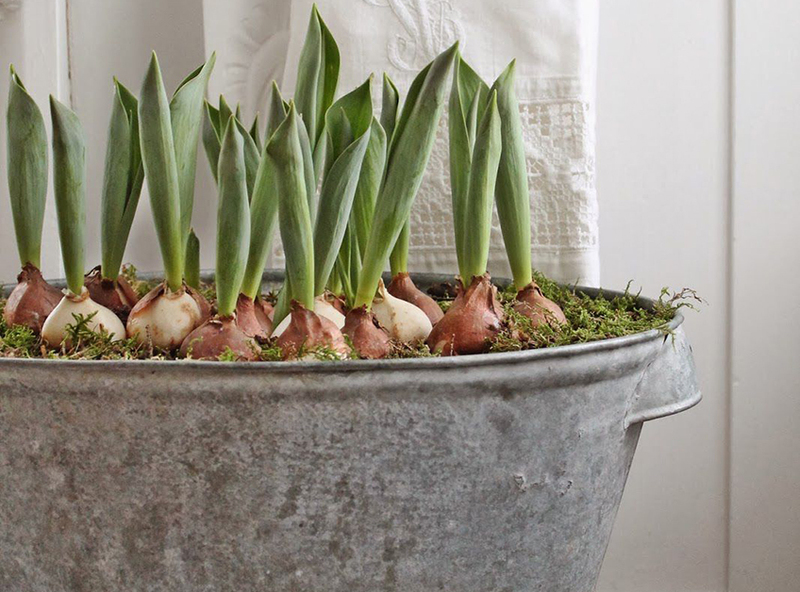 An unconventional idea is to place budding flowers in a galvanized tub as opposed to your typical vase. For table settings, add all of the natural elements like burlap, jute, and even some moss for a style that brings the outdoors in. Or take the earthy Easter trend head-on and create an outdoor picnic! Throw a few blankets down onto the grass and light up some lanterns to create a welcoming atmosphere. Complete with plenty of pillows and enjoy your meal al fresco style! So whether you choose to embrace traditions from the past or change up your look, there are plenty of ways to style your space to enjoy Easter this year. Choose one of these decor styles and build your party around it or pick your favorite elements from a couple and create your own! Now is a great time to find your perfect Easter Decor! Get even more inspiration with our Pinterest!